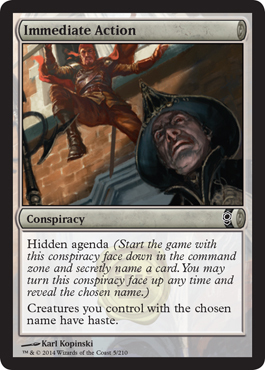 So the time for Conspiracy Spoilers is upon us! It will be released in two weeks (June 6th), so let's kick this party off! 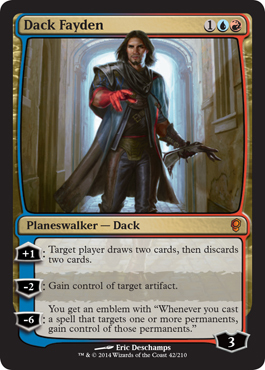 This set takes place on the plane of Fiora, the home of Dack Fayden (the main character of the IDW Magic: the Gathering comic series). There are 210 total cards in this set with 65 new cards. 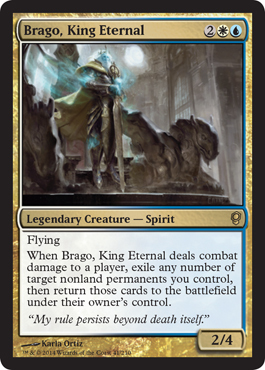 13 of the new cards are not Legacy legal (and are the Conspiracy cards). Everything else is. This set is focused on multiplayer draft. There are five Legendary Creatures: 3 dual colors, 1 tri-colored, 1 monocolored. We already know three of these creatures. Already some of these cards are pretty interesting. A white/blue LC who flickers nonland permanents, a Grixis LC allows you to return creatures you control with +1/+1 counters that die to the battlefield (so undying creatures keep coming back! 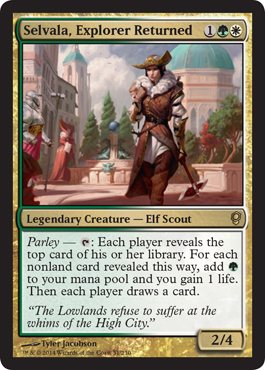 ), and a green/white LC who gives you mana and life for nonland permanents your opponents reveal from their library. 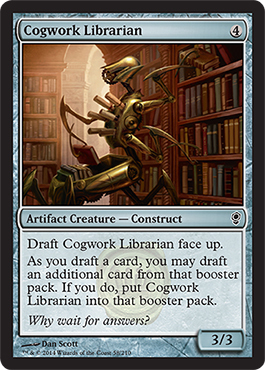 Also allows everyone to draw which is good for EDH politics. Some will be in the command zone face down while others will be face up. Face down Conspiracies have Hidden Agenda and face up ones don't. 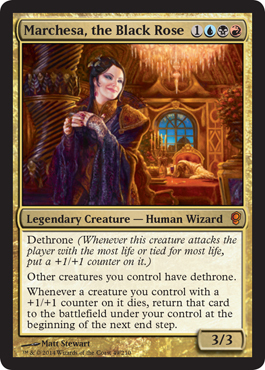 It should be noted the "Command Zone" is not just for EDH/Commander. 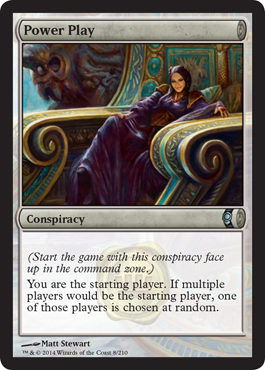 The "Command Zone" is where Schemes in Archenemy live, where your Planes/Phenomena are in Planechase, where you store your commander in EDH, and where your Planeswalker Emblems live in all formats. Nothing touches the Command Zone, so don't bother trying to destroy anything located there (unless we get a spell in this set that can target Conspiracies). 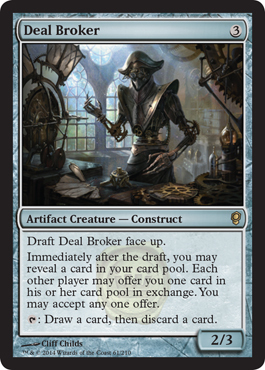 We also have cards in this set that will manipulate the draft itself prior to the start of the game. There is so much more going on in Conspiracy then what I have detailed here, and there is a lot we found out during Pro Tour Journey Into Nyx coverage this weekend. To see everything we have, head over to our spoiler page.